Courtesy Photo | Pictured from left to right are the following community leaders: Marshal Jim Whitman, Freddy Shewmake, Doug Rimmer, Jack Skaggs, David Aubrey (AT&T), Craig Spohn, Angie White, Mayor Lo Walker, G.B. Cazes, and Lisa Johnson. AT&T and Bossier Parish community leaders announced today that the Cyber Innovation Center in Bossier City, LA, has been designated AT&T Fiber Ready. 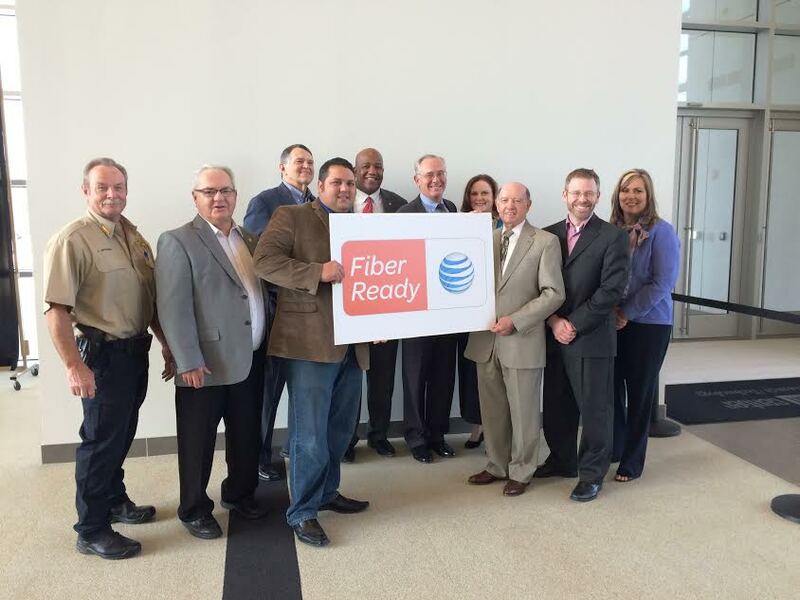 The Cyber Innovation Center is the first site in Louisiana to receive AT&T’s Fiber Ready designation. Over the last year, the Cyber Innovation Center/National Cyber Research Park has experienced tremendous growth with the groundbreaking of the new CSC building, the announcement of the new Bossier Parish Community College STEM Building, and plans for the new Louisiana Tech Research Institute. With that growth comes an increased need for high-speed Internet and high-capacity bandwidth, a need that can be answered through this new partnership with AT&T. In today’s world, connectivity is vital to new employers and businesses of every type.